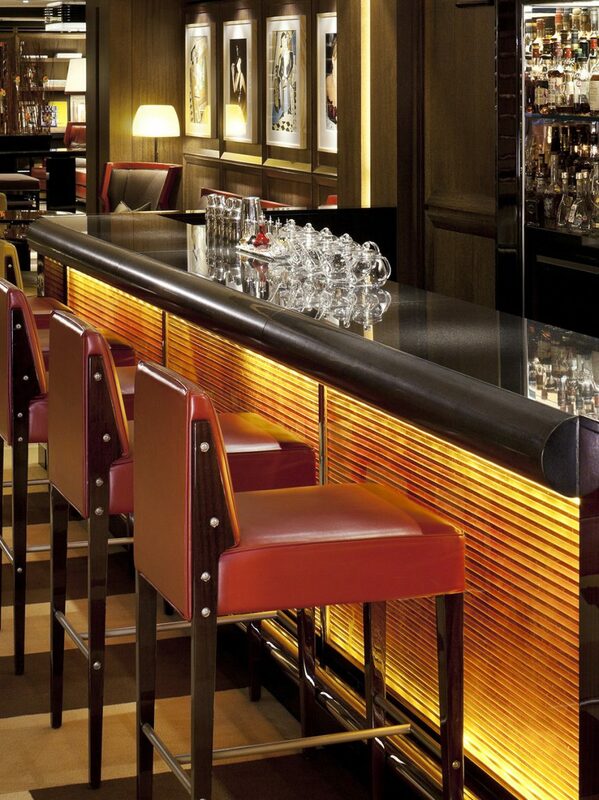 The dynamic atmosphere of our eponymous BAR 45 makes this the ideal Central London venue for cocktail sipping and people watching. The bar’s interior has a contemporary and modern feel. The rich colour scheme and blend of textures result in a sophisticated space, which exudes both glamour and comfort. 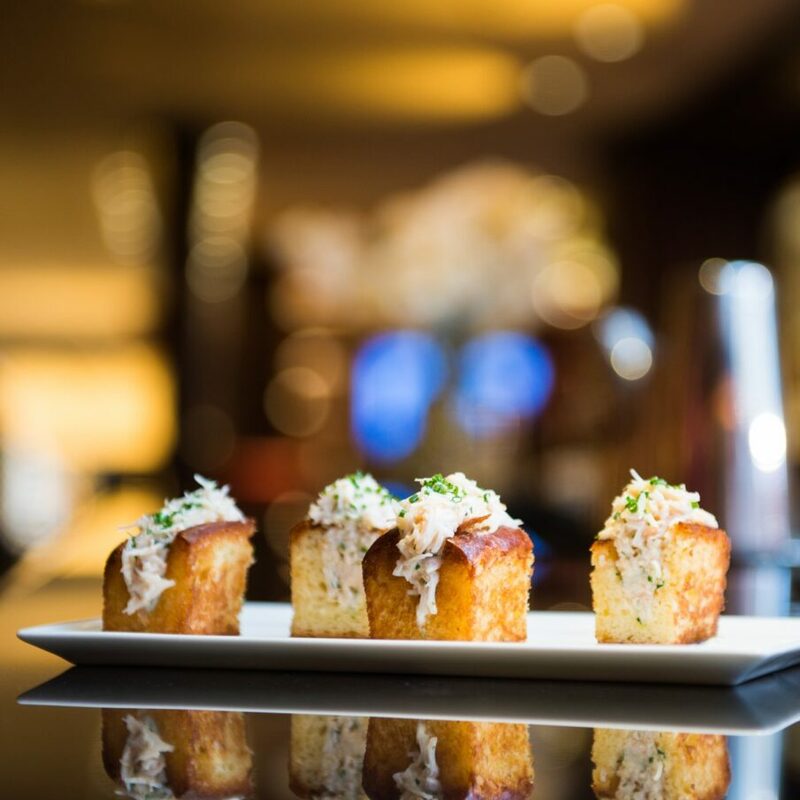 Our bar menu of ‘Rough CUTs’ by Wolfgang Puck includes succulent Wagyu sliders, Dorset crab rolls and really good fries. And they all go down terribly well with a glass of rare liquor or something from our extensive wine list. 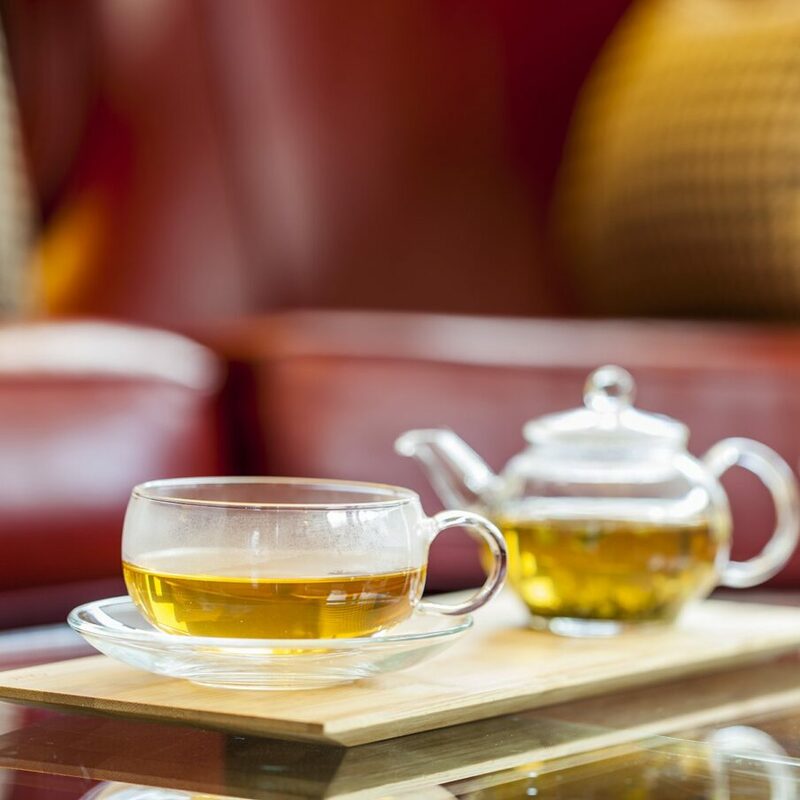 To complement the bar and the drinks trolley adventures we also have a specially curated JING rare and seasonal tea menu. 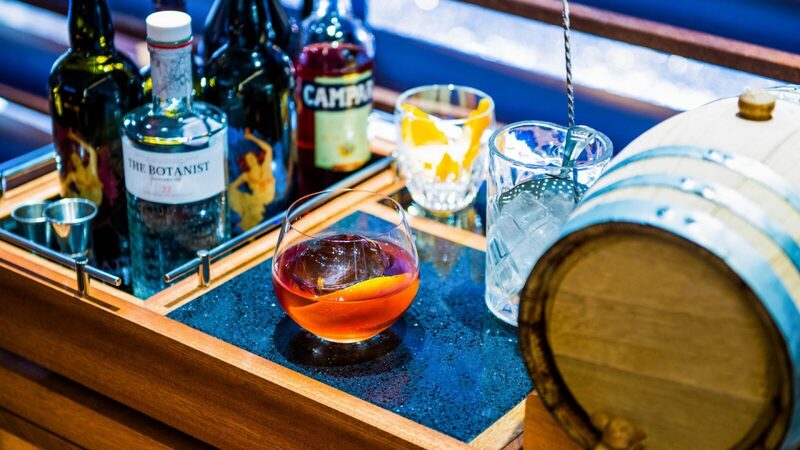 Our ‘Rough CUTS’ bar menu is tantalisingly tasty. Apparently the mini Wagyu beef sliders alone are worth flying to London for. The new month brings a new twist on the famous Negroni. Join us as we continue to celebrate 100 years of the classic cocktail with our bar team’s latest addition to the menu – the Golden Negroni. Made with Botanist gin, bergamot liqueur and aromatic Martini Ambrato, it’s perfect for those warmer evenings as we near the callings of spring. 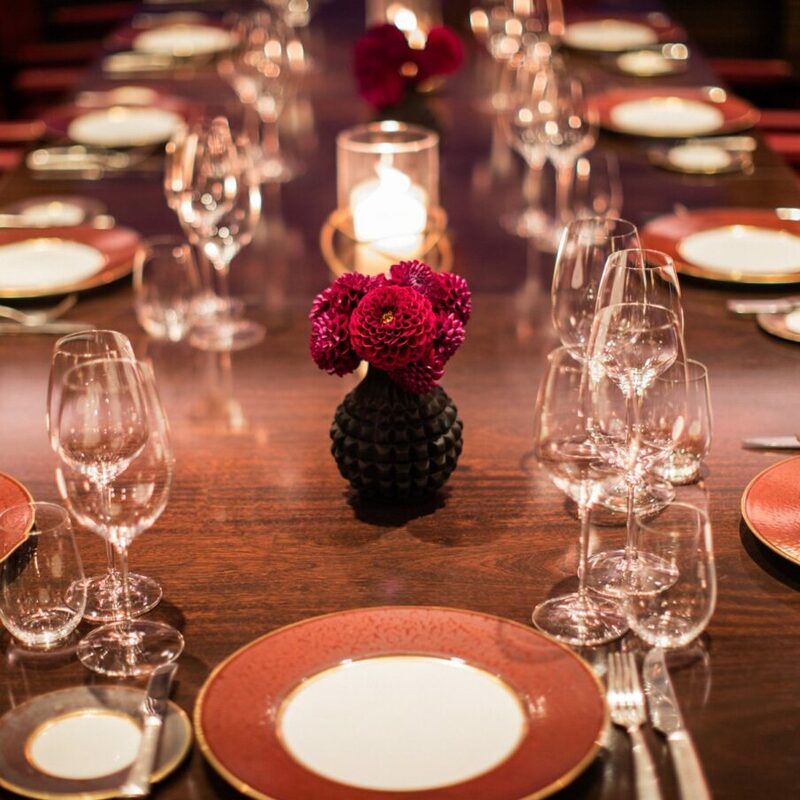 Under the skilled hands of executive chef David Mcintyre, CUT at 45 Park Lane can provide a splendid feast in any of our elegant spaces. 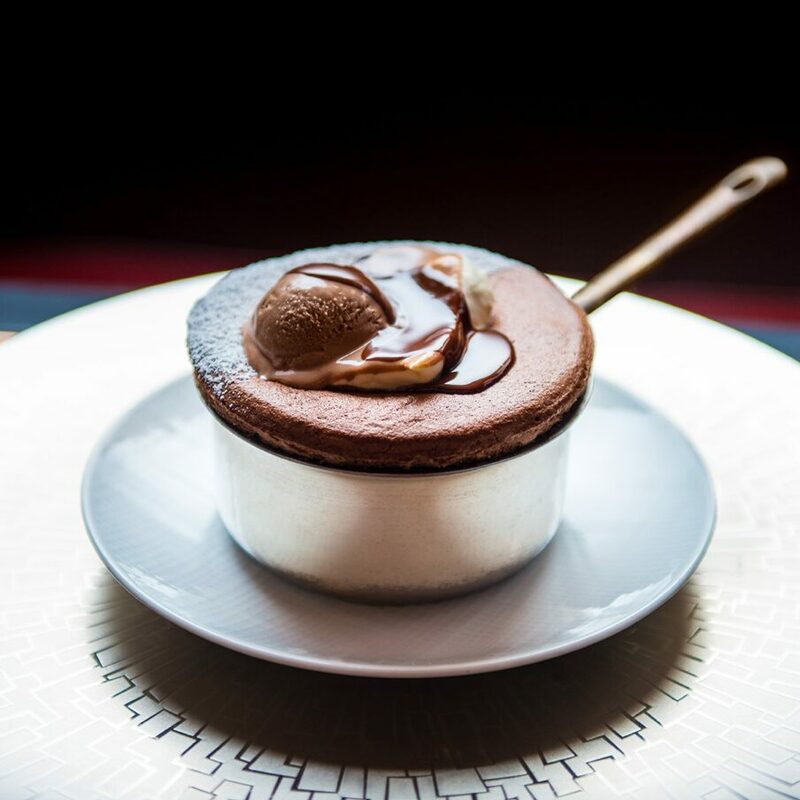 Simple, classic, chocolate perfection. Light, delicious and ridiculously enormous. We’re famous for Negronis at 45 Park Lane, so there’s no better place to celebrate 100 years of this classic cocktail. Join us in the Media Room for a masterclass with bar manager Francesco Orefici, who teams up with a Campari mixologist to present new ways to enjoy the simple yet distinctive trio of Campari, gin and vermouth. 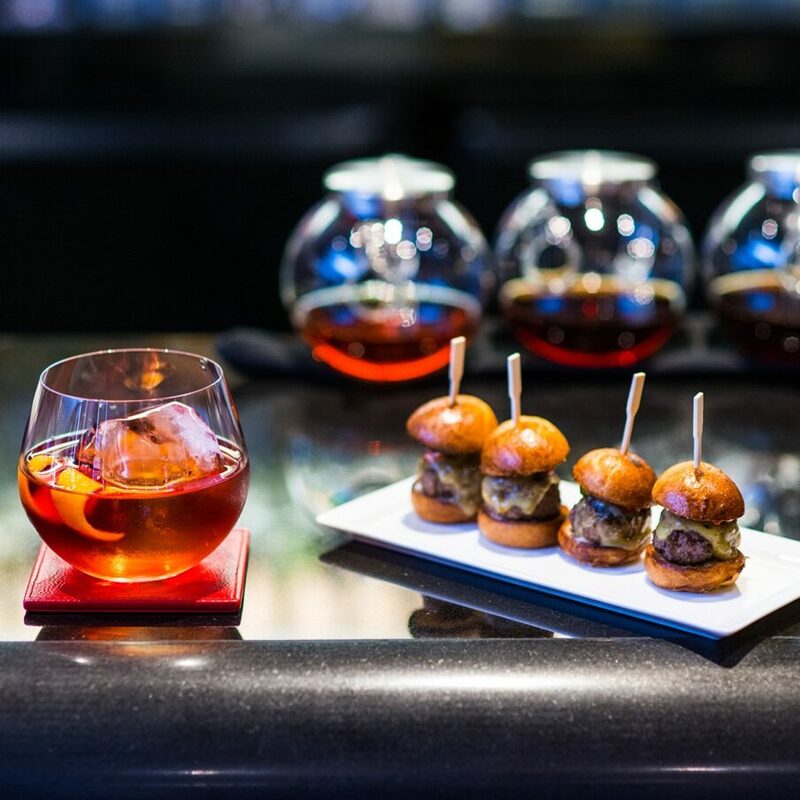 You’ll delve into the origins of the Negroni and try three variations, each paired with canapés prepared by executive chef David McIntyre to complement the flavours and aromas.